Still nursing that devilsome chocolate hangover from last month? 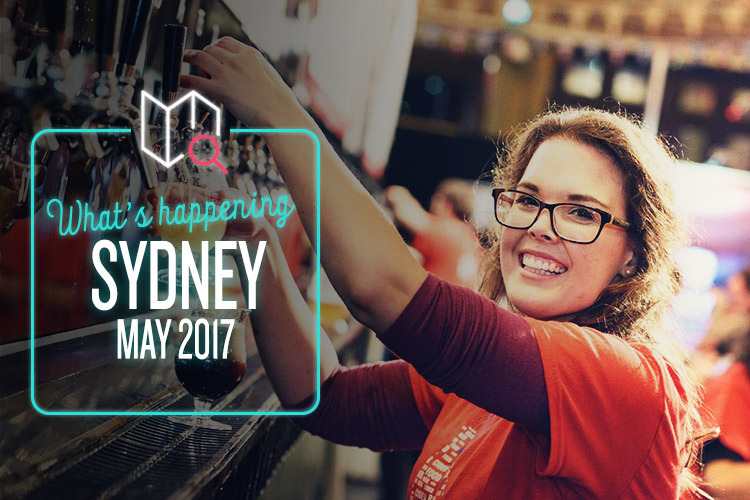 Don’t worry; we’ve got just the events to cheer you up this May! Few things in life are better than delving into a sprawling mass of independent art and design stalls, don’t you think? That’s why we’re very glad indeed that the Finders Keepers Markets are back once more, bringing together the most exciting designers from across the country in a stunning display of skill and talent. It features over 200 separate stalls, mixing established favourites with up-and-coming superstars of fashion, homewares, skincare, jewellery, ceramics, sculpting, accessories, and tons more. There will also be plenty of food trucks, coffee stops, pop-up bars and live music. Best of all, it’s only $2 to get in! Oh, and kids under 12 get in free. What’s not to like? Who doesn’t love a big dollop of high-class fashion indulgence every now and then? Mercedes-Benz Fashion Week is just the kind of dollop we had in mind, and there’s no better way to get your fill of Australia’s most cutting-edge designers. A full schedule of events is in store, including runway shows, fashion seminars, workshops, makeup tutorials, celebrity stylist talks, and plenty of other goodies. You can mingle with models, chat with your fellow fashionistas, nibble on fancy food and sip all the bubbly you can manage, all while immersing yourself in the very latest trends and styles. Sign us up, please. It’s one of the world’s greatest celebrations of the written word, and the Sydney Writers Festival is back once more to delight and enthral. Whether you’re into novels, screenwriting, song writing, nonfiction or journalism, there’s all sorts of juicy stuff here to get stuck into. It really is an absolute feast of literary fun, with talks and workshops by Armando Iannucci, Lauren Child, Claire Scobie, Jimmy Barnes, Tim Costello, Kate DiCamillo, Carol Anne Duffy, Matt Beard, and countless other unique and fascinating voices. You can learn everything from editing to dreaming up compelling characters and storylines, and it’s definitely not to be missed if you’re passionate about writing. Did you know that beer, cider, food and fests are four of our favourite things? What a handy coincidence! We’re willing to bet that you’re not averse to them either, so head on down to the GABS Fest this month. There’s more than 600 (six. Hundred.) craft beers and ciders from all across the country to sip and savour, as well as a multitude of Sydney’s greatest food trucks and street food vendors to line your stomach. Then, of course, there’s all the live music, artisan tasting sessions, brewery tours, beer workshops, light-hearted competitions, and plenty more. Hope you’re feeling thirsty!